There's a lot of name changing going on at Microsoft lately. After it got Metro-sensitive last week, the company has now switched the moniker for its mobile app store too. 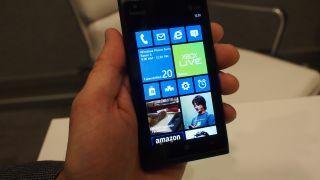 WMPowerUser reports that users will now buy their apps from the Windows Phone Store, not the Windows Phone Marketplace. The rebranding effort coincides with the new download portal for Windows 8 desktop and tablet operating system, which is also called the Windows 8 Store. While the change will co-ordinate the two stores ahead of the Windows Phone 8 launch, it's not surprising Microsoft has ditched the Marketplace. The term always seemed a little clunky and doesn't exactly have success connotations for the company. The move comes just a week after Microsoft decided to drop the term 'Metro' as a name for its new touch-friendly Windows 8 UI, in favour of the less cool "Windows 8-style UI"
Redwood had been reportedly threatened with a lawsuit from a German retail giant Metro AG, who were understandably miffed that Microsoft had encroached on its trademarked name.